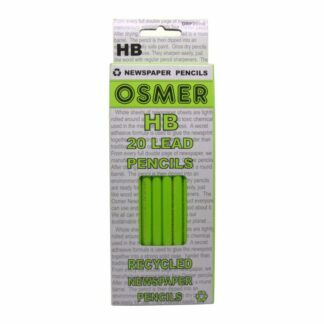 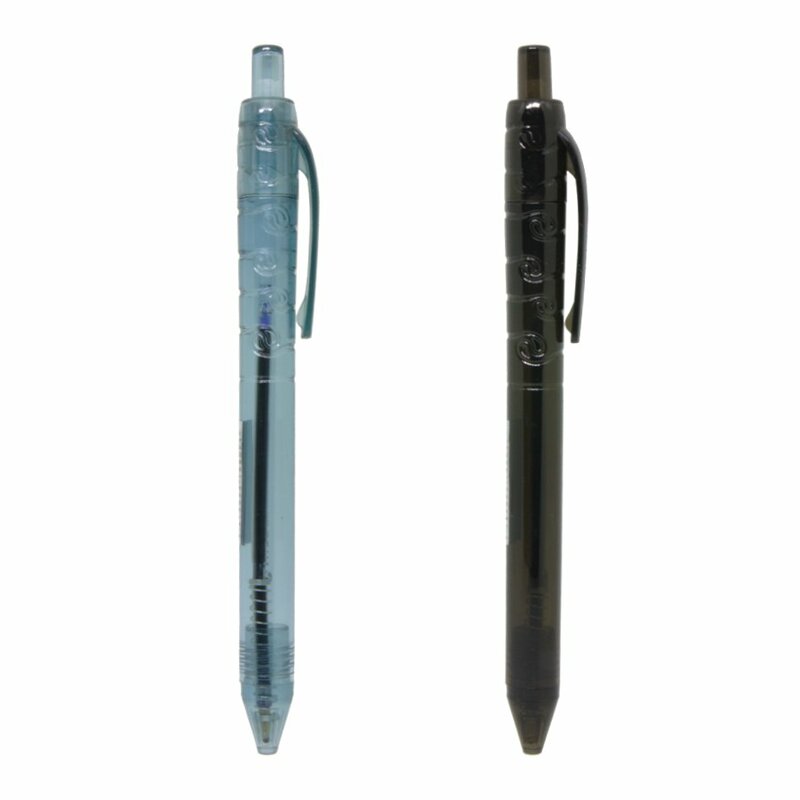 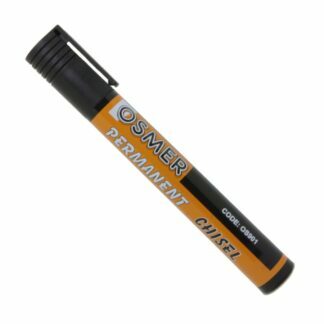 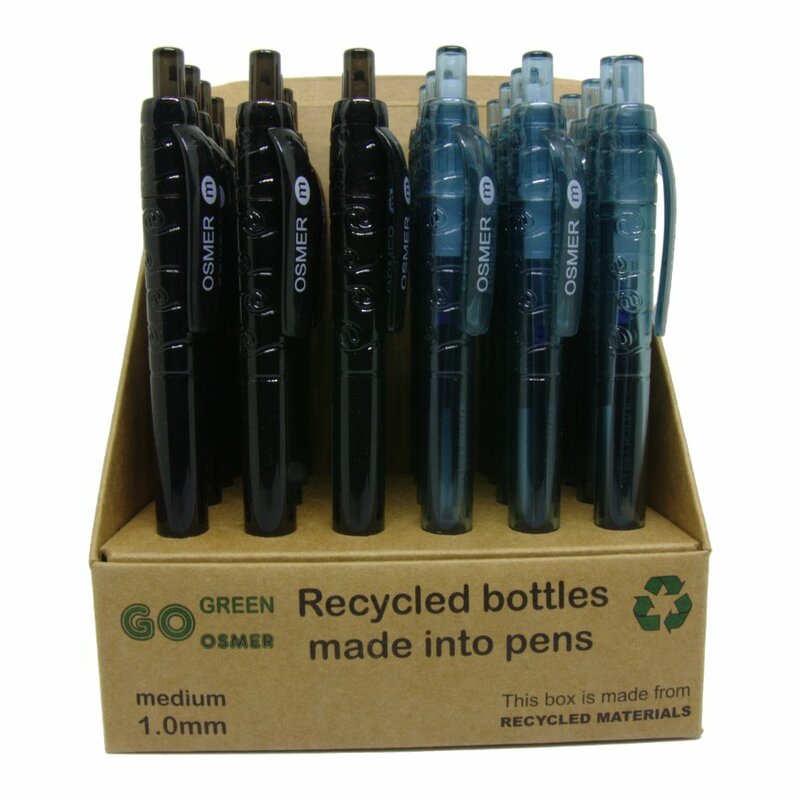 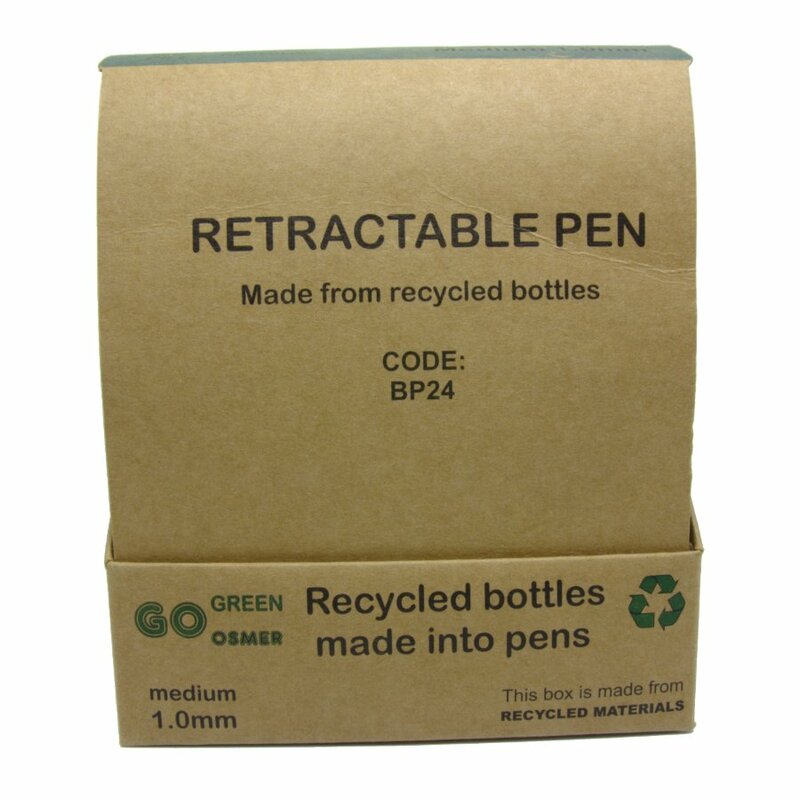 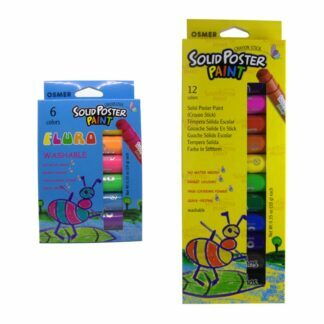 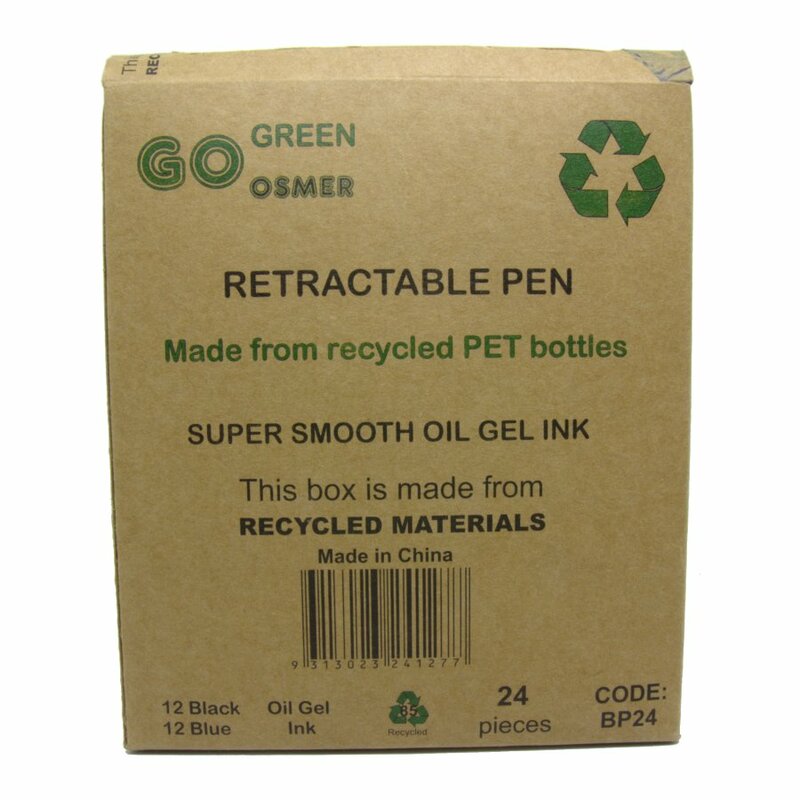 Osmer “GO Green” retractable ball pens are made from 100% recycled “PET Bottles”. 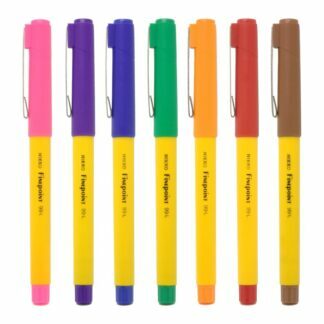 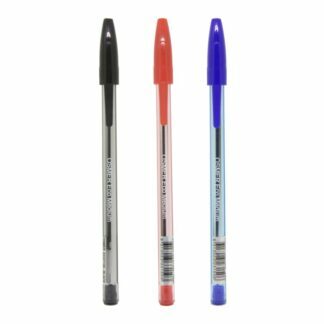 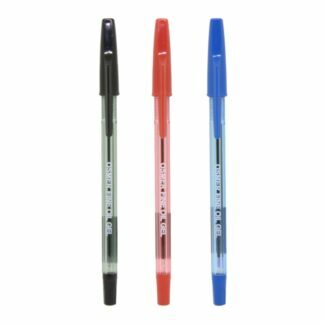 They are an extremely nice pen to write with. Available in lots of 6, 12 or 24, black, blue or mix of both. 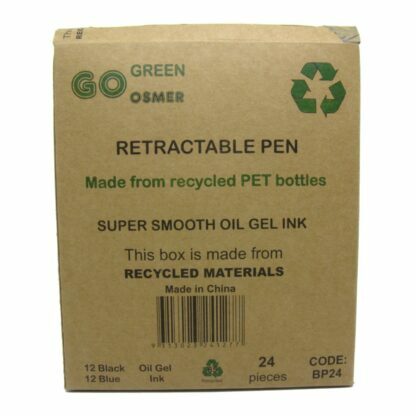 New “oil gel” ink technology. 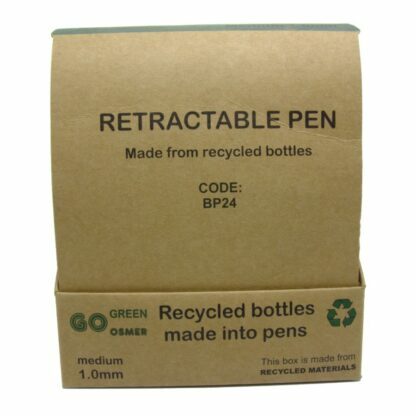 Pens and box made from recycled materials.